David Maljković’s work is a highly controlled variant exploitation of formalist concerns. 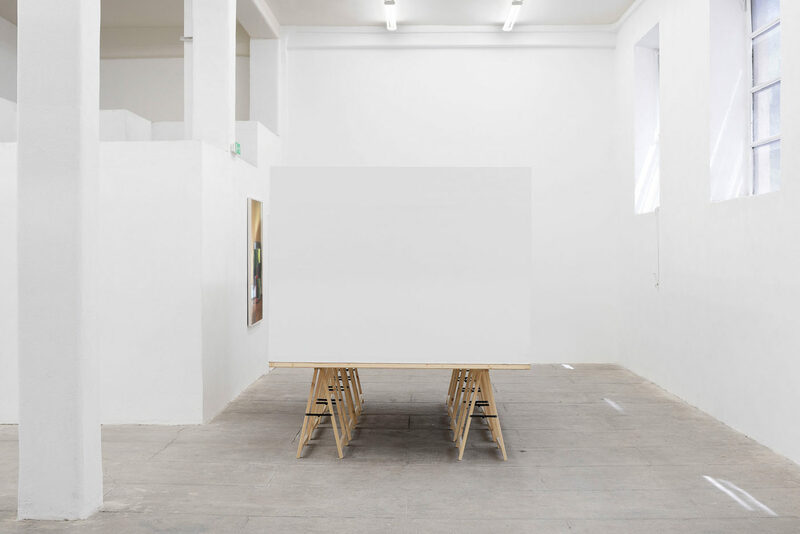 While narrative is the driving element at the origination of a project, the artist’s varied means of visual implementation profoundly modifies and compromises its supremacy. The process of construction within a set of formal directives encrypts the narrative and postulates what Maljković describes as a new semantic logic. His overall project is engaged in the variable relationship between form and content in aesthetic terms, or signifier and signified in linguistic terms. It is within this relationship that Maljković negotiates his formal methods and disjunctive intentions. 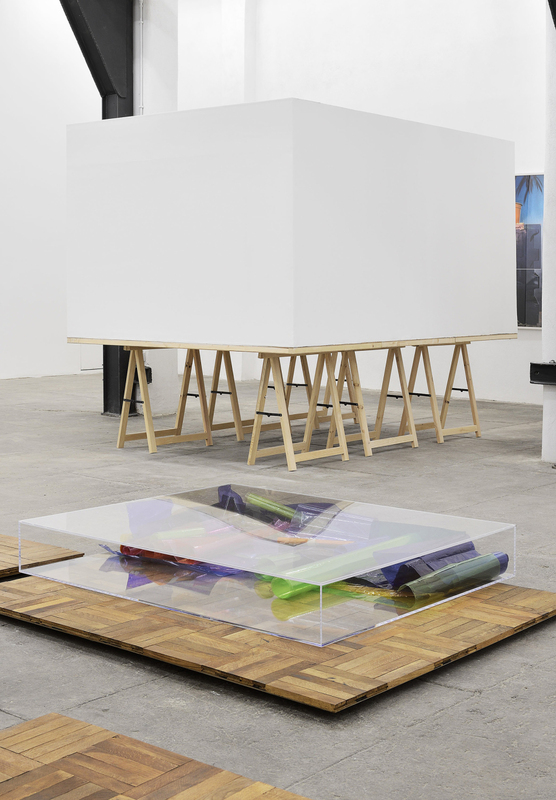 Maljković has been repeatedly problematizing the studio space, both on the personal level and in the general sense. This research started with Place with Limited Premeditation (2003/04) associated with his Amsterdam studio. 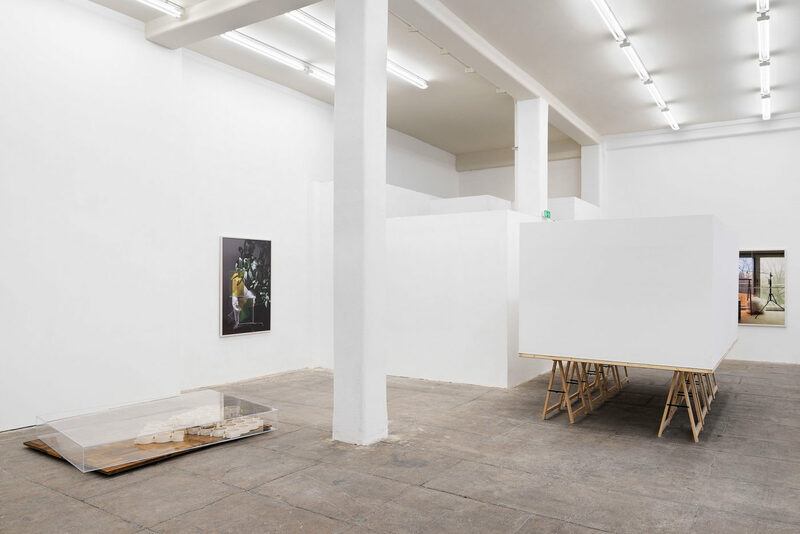 It then further developed with other projects such as Temporary Projection (2011) at Georg Kargl Gallery in Vienna, where Maljković placed a fictive studio, shattering the paradigm of work space -that is also an intimate space- by its very inexistence. All Day All Year presents a kind of a continuity with these projects, but here the studio does not become a format; here it represents a position. This position is defined by its space and location, but it is also a position in the sense that it is a decision to act. 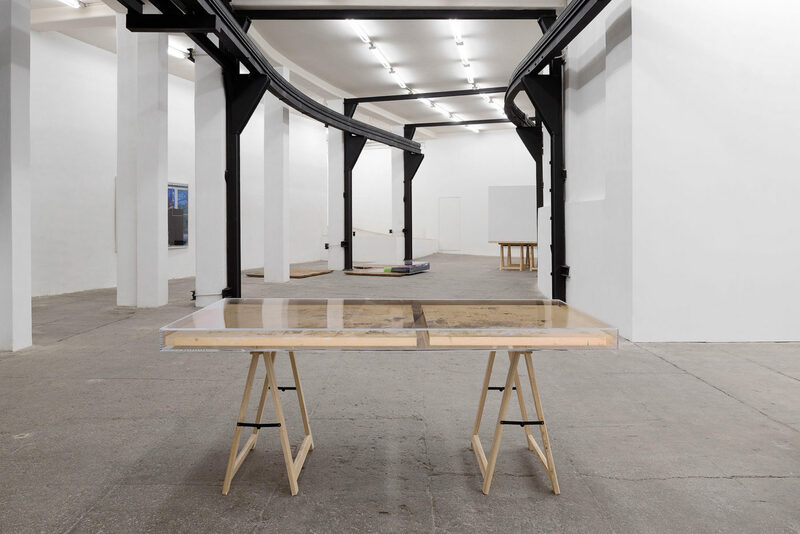 It raises questions pertaining to the politics of gaze, and culminating in the last-year exhibition A Retrospective by Appointment, where the studio became the location of the exhibition, as well as both the comment on and the symptom of the institutional frame in Zagreb. At T293 gallery, all these experiences are being “teleported” and given some different coalescences. 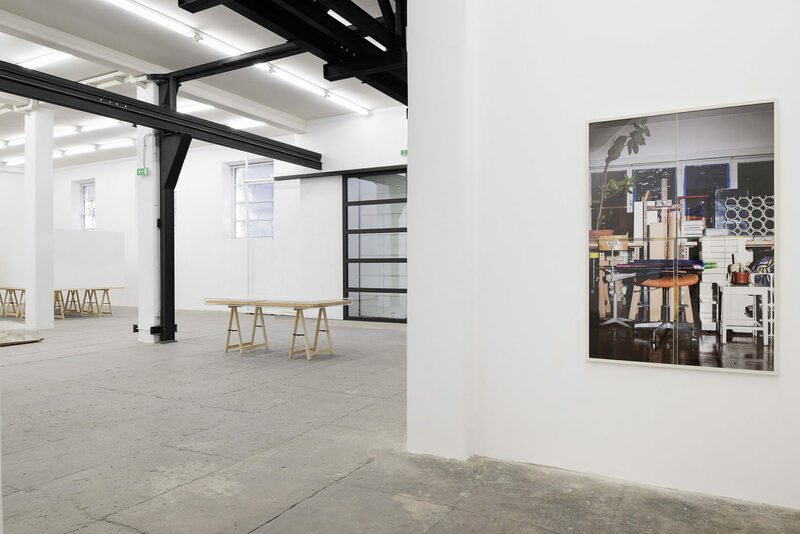 Irregardless of the fact that the exhibition carries some artifacts of this experience, All Day All Year does not thematize the objectness of the working space, rather focussing on its artifactual nature, and fragmentariness. 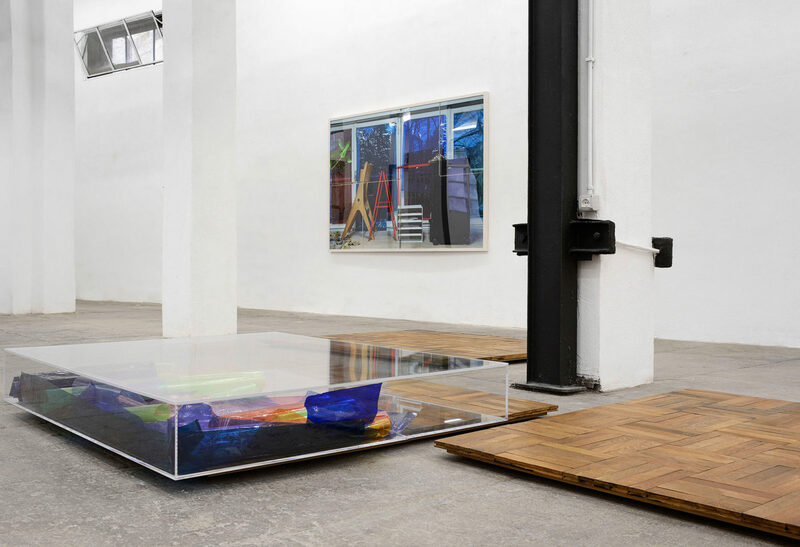 This fragmentary quality is present in all the installations in the show, in order to give form to the broken reality of the artist’ everyday space. 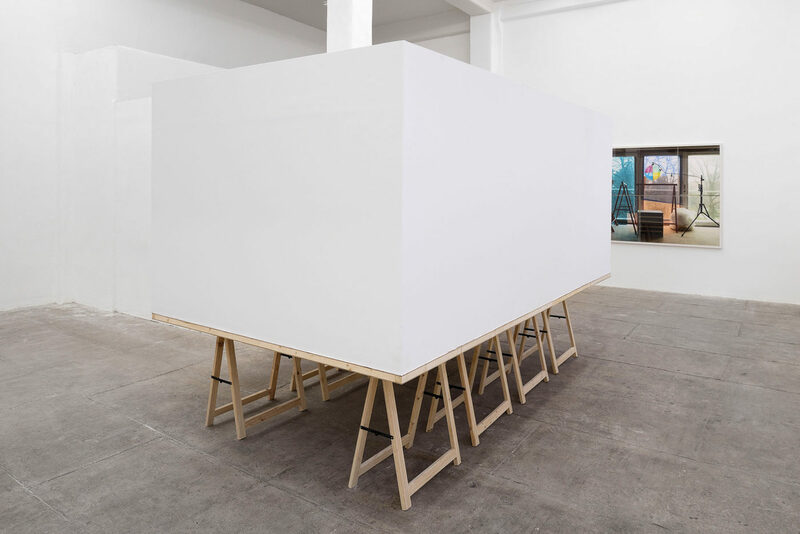 The working desks with white cubes served as a display in A Retrospective by Appointment: a functional element, such as a working desk, became dysfunctional, taking the role of a display. On that occasion, the synergy between the volume and the function of the objects has created a new surface for displaying. Here, such functional objects are being transformed into their essential form, without adding any art works. 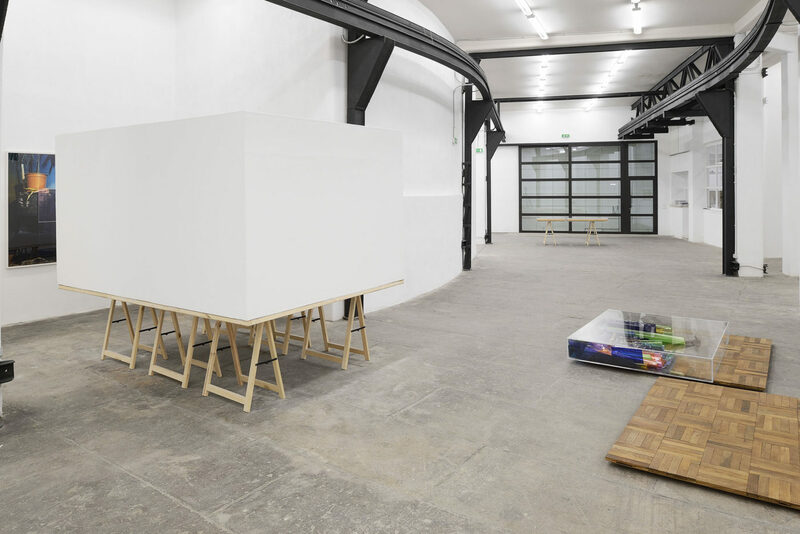 The very dysfunctional act is also present in the cut-through working desk, whilst the broken nature of the artist’ reality is most present in the fragments of the studio floor, transformed into pedestals dislocated all around the gallery space. The two-dimensional works take maybe the most significant role, as witnesses of the space, but at the same time they evade the pure documentary quality. In their essence, they probably point more at the very act of “teleportation” and deconstruction of the intimate space. 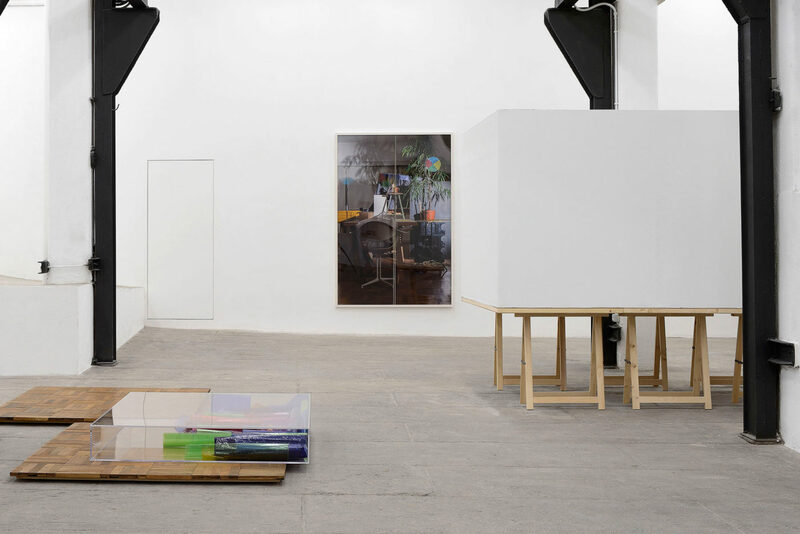 In these works, the image itself is a site for constructing a new order, and in a way, the studio itself becomes an assemblage of the different orders previously constructed. This assemblage also includes various elements from previous projects – among the most significant there are the lighting filters from the Missing Colours project (2010). 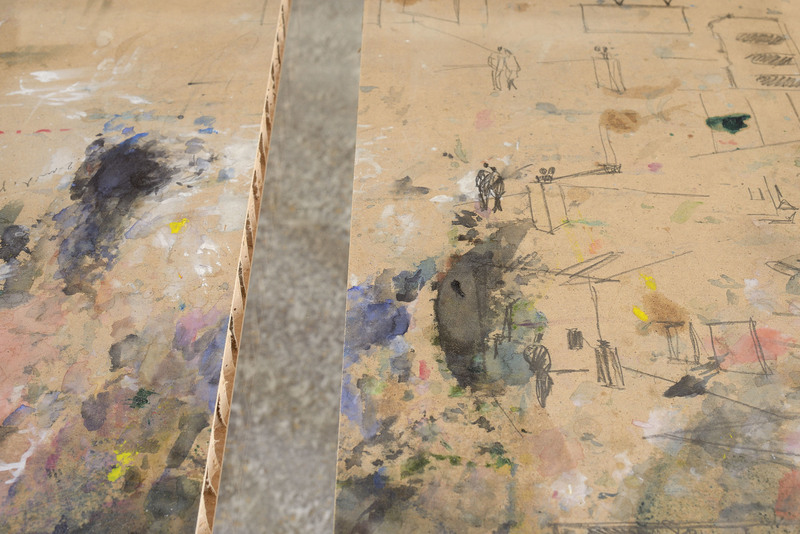 Both images in the show are being elaborated differently: one is a print on canvas, coloured with oil paint, so to emphasize the presence and interpretation of the artist; the other is a print on archival cardboard, in which the very process of destructuring the studio space into several frames creates a new reality of presentation, and the studio itself is caught in a kind of an interstice. David Maljković was born in 1973 in Rijeka, Croatia. His works have been exhibited in the most important art institutions and galleries of the world, such as VOX Centre de l’Image Contemporaine, Montreal (2016), the Palais de Tokyo, Paris (2014), Baltic Art Centre for Contemporary Art, Gateshead (2013), Sculpture Center, New York (2012), Museum of Modern Art, Ljubljana (2010). Not only private, but also several museums’ and foundations’ collections feature David Maljković oeuvre, such as the Centre Pompidou in Paris, the Museum of Modern Art in New York, Tate museum in London and LA CAIXA Foundation of Contemporary Art in Barcelona, to cite a few. His work was also featured in ‘All the World’s Fututres’, the 56th International Art Exhibition of La Biennale di Venezia.